Now that we know where the 14 teams who are out of the playoffs will draft, let's have some fun. 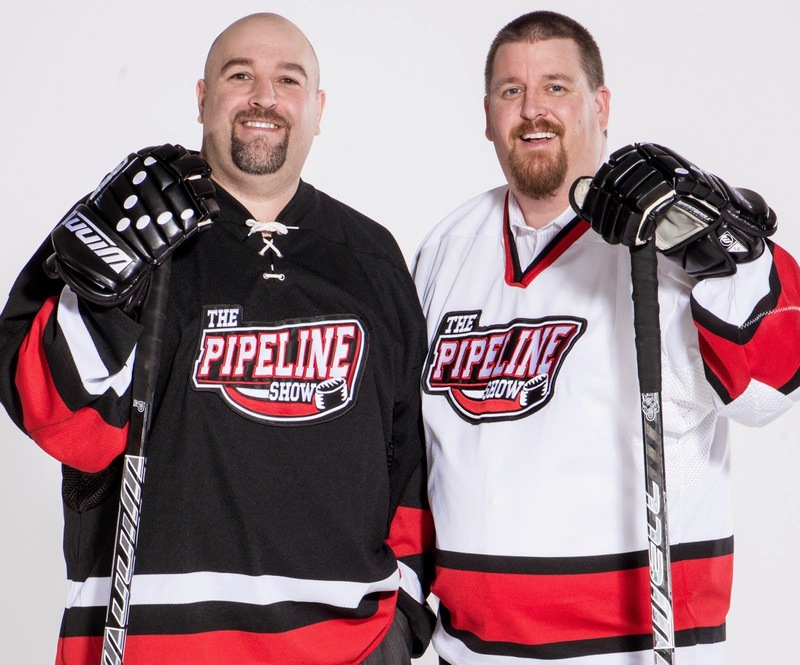 Leading up to the draft The Pipeline Show will have every corner of the draft covered, from mock drafts, to team by team draft previews, to interviews with the drafters and draftees. Tonight, I'll take a stab at who the 14 teams might be interested. Of course once we know where everyone is selecting, Guy and I will have our official mock draft predictions. In case you forgot, Guy nailed 27 out of 30 picks last June. This list will likely change quite a bit over the next 2 months but enjoy it for now. 1. Islanders- John Tavares-The cupboard is pretty bare of top shelf stars, they need someone to skate with Kyle Okposso, hopefully Tavares won't refuse to don the jersey. 2. Lightning- Victor Hedman-I think Tampa would have traded down to number 2 anyway even if they won the lottery as they desperately need a cornerstone D-man more than another star middle man. 3. Avalanche-Magnus Svensson-Paajarvi-His name seems to keep changing (is it Svensson Paajarvi or Paajarvi Svensson???) but his style of play is consistently great. Paajarvi (pictured) reminds me a little of Peter Forsberg and he seemed to work out well with the franchise. 4. Thrashers-Matt Duchene-Some think he is as good if not better than Tavares, I disagree but he has loads of skill and is showing it off right now with Brampton in the OHL's final four. 5. Kings-Evander Kane-The "Real Deal" in Hollywood. A big, tough scoring forward to add to the impressive stable L.A. already has. 6. Coyotes-Jared Cowen-The ex-Jets have plenty of skill up front that they've drafted recently but don't have a true shut down defenceman for the long term future. Cowen is a hulking blueliner that cleans up his house effectively. 7. Maple Leafs-Brayden Schenn-If Brian Burke can't sweet talk his way to the number one pick (really what does he have to offer the Islanders???) it'll be the Schenn brothers show in the big smoke. He can score and hit, which will be a hit in Toronto. 8. Stars-Dmitry Kulikov-The Stars have taken only 2 blueliners in the last 2 drafts, and could really use a puck mover in a couple of years. The smooth Russian fits the bill. 9. Senators-Nazem Kadri-The London Knights star put up one less point in one less game than Matt Duchene of Brampton. Pro rate his numbers and he would have been just shy of 100 points this year. 10. Oilers-Scott Glennie-The Oilers need some size and don't really have any coming down the pipe. 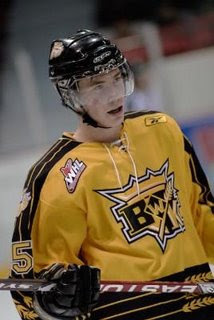 The 6.01 centreman (pictured)kept Brandon afloat while other were away at WJC camp last December and is somewhat overshadowed by Brayden Schenn. 11. Predators-Oliver Ekman-Larsson-The Preds will be delighted he fell this far and will be doing cartwheels at the prospect of the offensive minded Larsson and current Vancouver Giant rearguard Jonathon Blum running their power plays in the future. 12. Wild-Jordan Schroeder-Minnesota had only 4 picks last year and spent 3 of them on the back end. 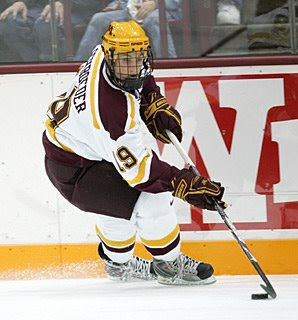 That's why the American (pictured)playing for the Minnesota Golden Gophers will fit well with the Wild who could really use a sniper like Schroeder. 13. Sabres-John Moore-A scout told us a while back that people would pay to see him skate laps and that's he's the best skater in the draft in years. Might someday make Sabres fans forget about Brian Campbell. 14. Panthers-Peter Holland-A guy TPS has dubbed "the safe pick" of this year's draft. He was a point per game player with Guelph, and is a versatile player right now with Canada's U-18 team. Good size and a solid 2 way guy.